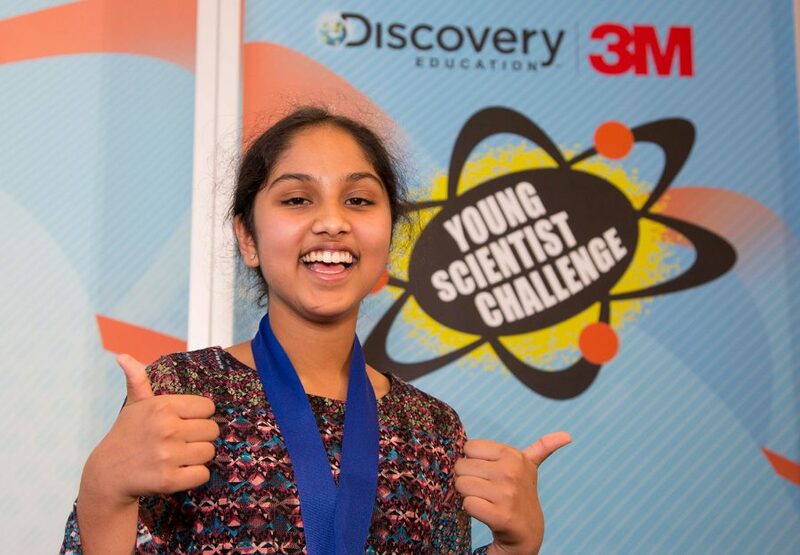 This is Maanasa Mendu, a 14-year-old student from Ohio, and top prize winner of the Discovery 3M Young Scientist Challenge. 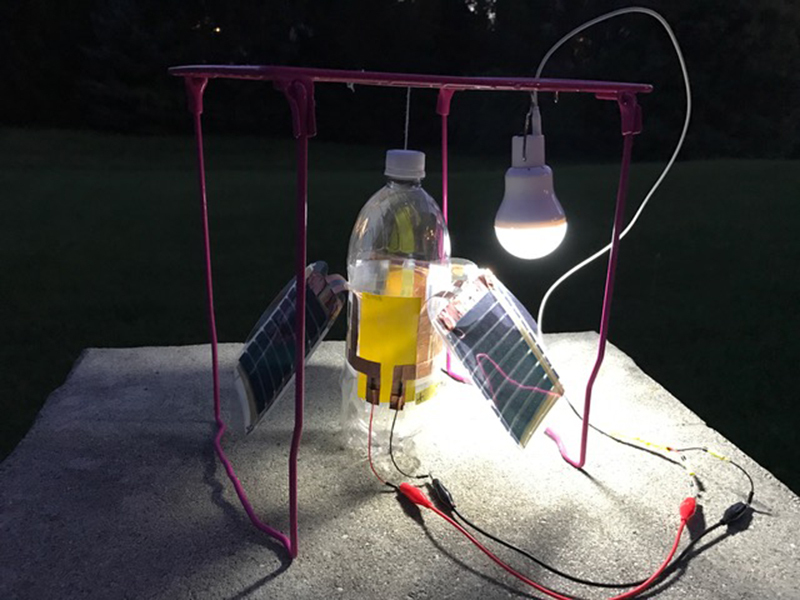 Mendu invented a cheap electric light that runs off wind, precipitation, *and* solar energy. 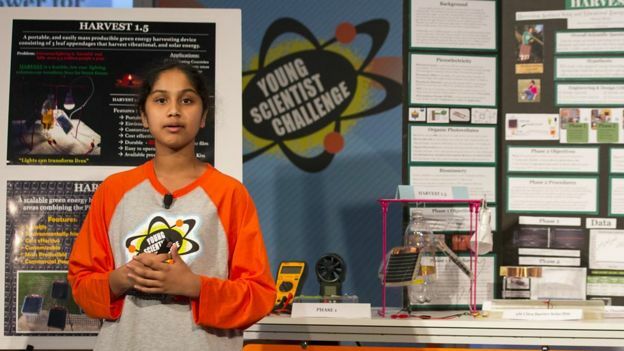 She was inspired by annual family trips to rural India, where blackouts were common – and got some of her ideas from studying Marie Curie!